This is the Hook Portion of Hends. Known in the competition circuit of Czech Nymphing for quality and reliability. These hooks will get you in the game but won't break the bank. 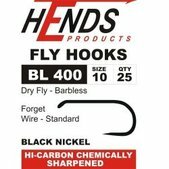 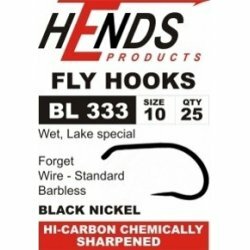 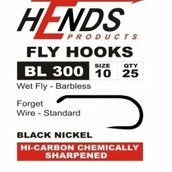 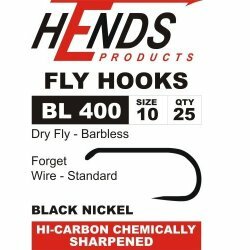 All hooks come in a 25 pack, and Hooks are barb-less and black nickel unless stated other wise. 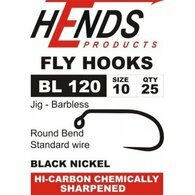 This hook has a round bend, made from standard wire, and ​has a standard turned jig eye. This hook has a round bend, made from standard wire, and ​has a standard turned jig eye. 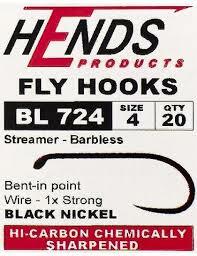 This hook is also barbed. 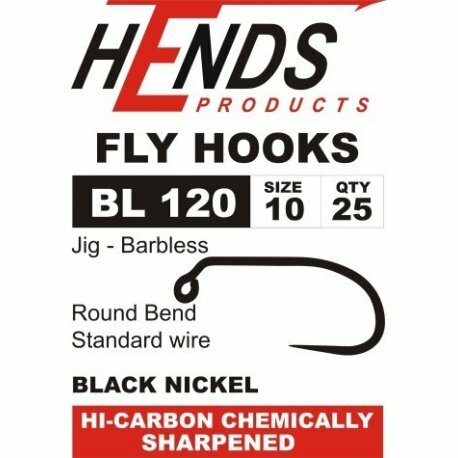 This hook has 2x strong wire, a bent-in point, wide gap, short shank, and a standard turned jig eye. This hook has standard wire, a bent-in point, wide gap, short shank, and a standard turned jig eye. This hook has a bent-in point, wide gap, standard wire, and a standard long down eye as a jig eye. This hook has a standard length shank, 2x strong wire. bent-in point, wide gap, and a down eye. This hook has a standard shank, standard wire, with a down eye, and a round bend. 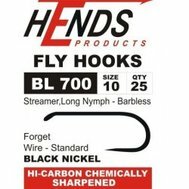 This hook has a shorter shank, 1x strong wire, down eye, wide gap, and bent-in point. This hook as a short shank, standard wire, wide gap, and a down eye. 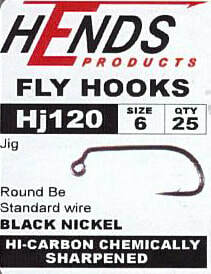 This hook has a standard shank, fine wire, down eye, with a Limerick bend. This hook has a standard shank, standard wire, bent-in point, wide gap, and a down eye. This hook has a continuous-bend, fine wire, with a reversed point. This hook has a continuous-bend, with a reversed-point, down-eye, and a 1x strong wire. This hook has a continuous-bend, with a reversed-point, fine wire, and a up-eye. This hook has a continuous-klinkhammer bend, with a straight eye, and is made from standard-size wire. This hook has a continuous-bend, wide gap, straight eye, with a bent-in point, and standard wire. This hook has a long shank, standard wire, and a down eye. This hook has a standard shank, 1x heavy wire, down eye, with a wide gap, and bent-in point.